This has opened the door to many camera operators and allowed the production quality to increase considerably. Jibs, stabilizers, sliders and shoulder mounts are now just as common as tripods and people are even using small cameras (such as GoPro) to get certain shots that were so difficult in the past. The important thing with moving shots though is creating stabilisation and which products to use can vary depending upon the shots you are looking to achieve and the budget you have available. With such a vast array of equipment now existing I have decided to focus on the daddy of moving shots, aka the Camera Stabilizer. The camera stabilizer has been around for many years but recently the variety of systems has expanded considerably providing film makers with more variety than ever before. The key to a good stabilizer is the quality of the product, especially the gimble system used, so I would always recommend investing in equipment from a reliable source to ensure you get a stabilizer that will provide you with those true floating shots. There are now many stabilizers on the market ranging from very cheap through to very expensive and alongside the traditional systems there are new electronically controlled gimble systems. So what do we suggest? Well a lot comes down to the weight of your camera set-up when fully loaded (camera, lens, microphone) as most stabilizers are designed to work within a certain weight range, so thats the most important thing to establish initially. Once you know this you can then ascertain which stabilizers are suitable, and the next consideration would be your budget. If you are working with a budget of around £1000-£2000, then I would certainly have a good look at the DJI Ronin stabilizing systems which have been very popular with customers working in this price bracket. The DJI Ronin utilises an electronic gimble system and the shots you can achieve are truly fantastic. The bonus with this type of system is the electronic gimble really helps keep the camera level and with a bit of practice you will soon be creating wonderfully smooth shots. If your budget is a bit more modest, say £100-£500, then there is still a great range of systems available on the market. 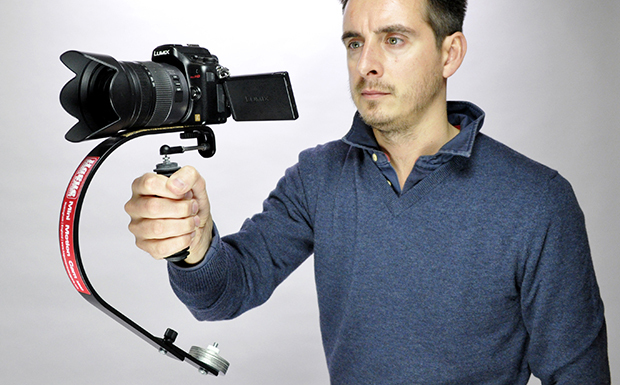 You could select a traditional Steadicam type stabilizer system, and we offer a variety of these from as low as £115.00, but if you wanted something a bit different I would look at the Hague Levitator. The Levitator works in a similar way to the traditional systems with a standard gimble (not electronic) system, but it does not require additional counterbalance weights and is controlled using two hands which makes it a lighter weight system. 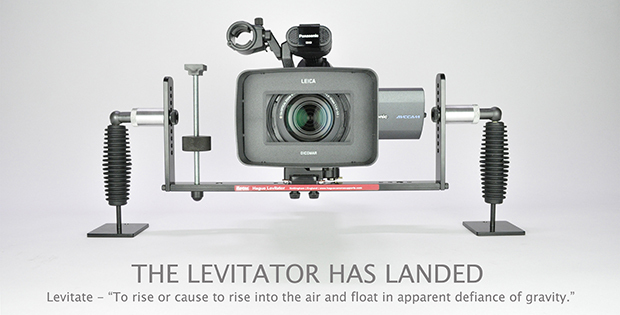 Supporting cameras up to 3kg the Levitator covers a wide range of camera set-ups and allows you to capture very smooth shots. Is there anything for a really low budget? Yes there really is now a stabilizer for every price bracket but the lower cost systems tend to be for the smaller handheld cameras. The exciting thing here is that there are now many brilliant cameras (the Panasonic GH4 for example) that drop in under 1kg in weight, which makes them suitable for smaller systems like the popular Hague Mini Motion Cam stabilizer.